The first time I ever had tamagoyaki was in Tokyo and I loved it. There are different variations of this dish. Some people use dashi powder in their mixture or like my grandmother, use only granulated sugar and soy sauce. 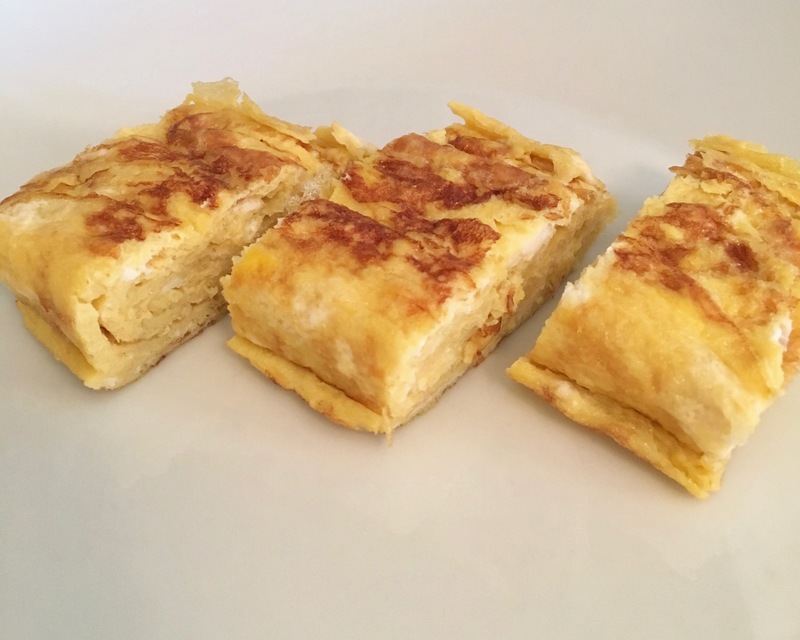 If you want your egg roll to look nice, invest in a rectangular shaped pan. I used a regular round pan and mine, though delicious, did not turn out as thick or as pretty. I used the recipe from The Just Bento Cookbook except instead of using vegetable oil, I used non-stick cooking spray. This is a great breakfast along side miso soup and onigiri. Crack eggs and wisk in sugar, mirin, soy sauce, and salt. Heat pan over medium-high heat. Spray pan with non-stick spray or dip a folded paper towel in oil and rub on the bottom of the pan. Using a fork or cooking chopsticks, draw a little of the egg mixture along the bottom of the pan. If the egg cooks immediately, the pan is hot enough but if it browns too fast, removed pan from heat and lower heat on burner and try again. Pour a thin layer of egg mixture in pan, tilting to spread the mixture to cover the bottom of the pan. As soon as the egg starts to set, begin rolling it to one side of the pan. You can use cooking chopsticks or a spatula. Keep flipping until you reach the other side of the pan and have a skinny roll. Spray the empty side of the pan with non-stick cooking spray or use your folded paper towel to re-oil the empty side of the pan. Pour another thin layer of egg mixture in pan, tilting and making sure the mixture goes underneath the rolled up egg on the other side of the pan. Repeat steps 4-7 until egg mixture is used up. When the tamagoyaki is done, turn seam-side down into and press briefly to seal. 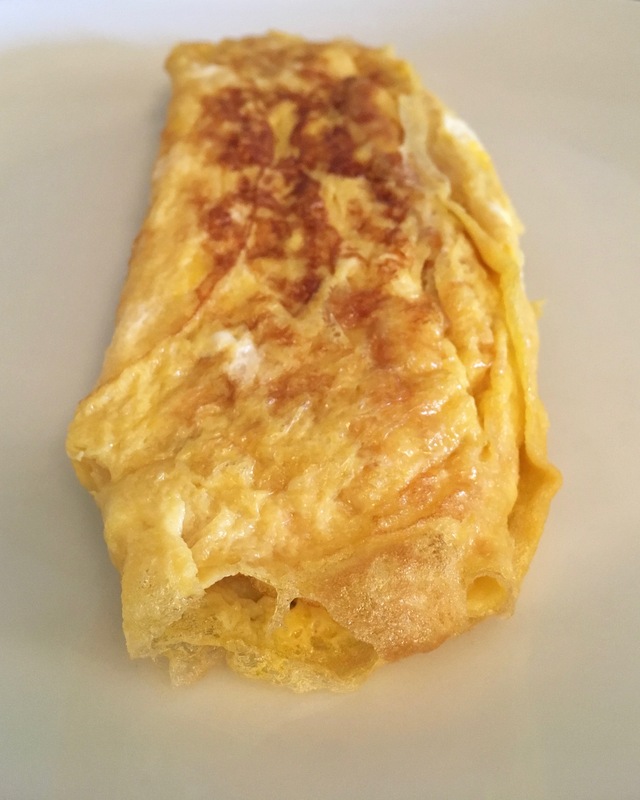 Flip the egg out onto a paper towl and roll the towel around the tamagoyaki, forming a rectangular shape. Leave to cool.